The former MMA fighter has sinced turned his hand to professional boxing. CONOR MCGREGOR WILL have the backing of a nation when he walks out at Boston’s TD Garden for his second UFC bout in the early hours of Sunday morning, but a little less than three years ago, the MMA fighter was facing up to the reality of a second professional defeat. ‘The Notorious’ has almost become a household name since his debut victory over Marcus Brimage last April and will carry Irish hopes on his shoulders when he takes on Hawaiian Max Holloway. Back in November 2010, however, the then 22-year-old had amassed four wins and one loss from his first five pro outings when he was pitted against the highly-rated Donegal-born Joseph Duffy at Cage Warriors 39 ‘The Uprising’. Held at modest surroundings of the Neptune Stadium in Cork, McGregor would last just 38 seconds of the first round after getting caught in an arm-triangle choke by his opponent and losing by submission. Although the Dubliner was gracious in defeat, it must have been particularly difficult to digest. It wasn’t a very long fight but plenty happened straight,” his victorious opponent recalls. “I knew Conor was aggressive and dangerous with his hands so I wanted to go out all guns blazing. “I just went at him and tried to put him on the back foot – there were a couple of exchanges. Duffy, involved in combat fighting since the age of 5 and skilled in Taekwondo and Brazilian jiu-jitsu, had eased through his opening six fights (“It was like I had been doing it all my life. I took to it like a duck to water.”), but knew would have to be at his best to dispose of McGregor. After having his eye split open from a blow to the head, Duffy came back with a take-down and forced McGregor to tap out. “For the first time I realised there was someone better than me on his feet but I managed to slip him into a hold and that was that. While McGregor has shown immense courage and resolve to bounce back and become the current face of Irish MMA, Duffy’s career path has since taken a surprising turn. His unbeaten run came to an end the following year, when he broke his hand on the way to losing out to Ivan Musardo. The time out of the gym gave him a chance to re-think the bigger picture and he decided that a move to the US would be best if he was to make it to the top. However, obtaining a visa proved extremely difficult and Duffy began training at the MMA Clinic in London, where he came in contact with current coach John Tandy. One day during a session Tandy suggested he might be suited to boxing and something clicked. “I always wondered how good a boxer I could be,” he explains. “I never learned to box but being in combat sports you feel you can hold your own in them all. He made his professional boxing bow in March and has gone on to record 5 wins on the trot. Next up, he meets Ionut Trandafir Ilie in Germany on September 7 and says he couldn’t be happier with how the switch has panned out. To prove the point, he follows that sentence up by insisting I give his current sponsors, London Fight Store, Creative City of Al Fujairah, AT and The Massage Lab, a mention. Duffy may be preparing for the biggest fight of his career, but still has time to monitor his former rival’s rise and has wished him the best of luck this weekend. “I’ve been keeping an eye on his progress. A lot of people still talk about it to me in the gym and that. I can’t say I’m surprised by his progress. When I was in there with him I could see he was talented. Email “Meet Joseph Duffy: The last man to beat Conor McGregor ”. 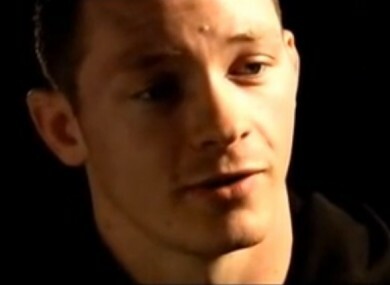 Feedback on “Meet Joseph Duffy: The last man to beat Conor McGregor ”.